This One Bedroom apartment opens up nicely to a large living area. Coupled with a nice dining area, this floor plan offers a spacious layout for living or entertaining. This residence features ample closet space near the entry, as well as a full bath. 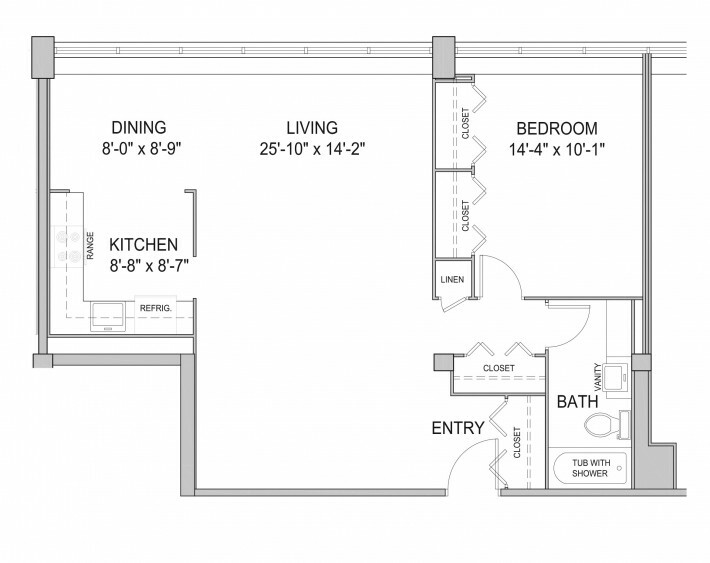 This floor plan is the mirror image of the 1B, although slightly larger. * Features may vary by apartment.